AICN HORROR talks with Tom Holland about CHILD’S PLAY, PSYCHO 2, FRIGHT NIGHT, and TWISTED TALES! AICN HORROR talks with fear-meister Tom Holland about CHILD’S PLAY, PSYCHO 2, FRIGHT NIGHT, and his new project TWISTED TALES! AMBUSH BUG (BUG): Okay, Nice to talk with you sir. I’m a huge fan of your work and it’s a pleasure talking to you today. TOM HOLLAND (TH): Oh, Mark, thank you for saying that. BUG: Yeah, well let’s talk about your long career in film. Do you want to start out on what first started you down this path of making movies and being involved in the film business? TH: Oh Boy (laughs). Well, I started out and I wanted to be a writer…and… I had a drama teacher. I got into acting in High school because it was a way to meet girls and that probably sounds very silly but it’s true. BUG: I think that’s a motivator for pretty much a lot of professions. TH: Yeah, especially when you’re like, well I was like 14 or 15. Anyway, the drama teacher got me a job as an apprentice at Bus County Playhouse in Pennsylvania and in those days, you know, they didn’t, I mean god it makes it sound like the year one, but I mean the interest wasn’t on film. It was still a lot of theater around. It was a time when there was a summer stock circus and there was also winter stock and there was, dinner theaters were very, very big in the summer. And they all needed an actor and I would always try, ya know, to get into the business. Somehow I got caught up in that swirl. I went to Northwestern University to the theater school there for a year, I was an actor, but I left and went to work and I was an actor for a year. I was about 16 and I started to want to write. I had an experience, I was in the actor’s studio and they had a playwright and I started doing and acting in plays and the next thing I knew I was assistant directing. Anyways, as an actor I came to Hollywood and then started to work with… I found out that writers were a way to start making films and I started doing one act plays and putting them on their feet and directing them and just acting in them and everything else at the Actor’s Studio. This year I can tell you what it was it was like 68 or 71, and uh, that was a time you could write an original screenplay in Hollywood and actually get it made. It was the tail end of the seventies. Independent movies were being made in the studio system. And for five minutes the door was open. I started writing screenplays and I started selling as a writer in 1977 and I started to be successful so I thought I could direct which was the way it worked then and is still pretty much the way it works now, or at least it’s one of the ways. The other two ways are being an editor or being a cinematographer. But I got into this because I wanted to make films and I wanted to direct. I was working television and during all these years I worked on commercials to stay alive. And I was on my way to being a commercial director and I realized that wouldn’t get me any closer to directing movies. I was in love with 8mm movies before anyone else was, you know what I mean? But that was a moment in time. I was trying from when I was a kid to get into film. When I was at Northwestern they had a couple, they had a 16 mm camera and I went out and made a 20 minute short and nobody else did such things, you know? And then by the time the 70s hit then everyone and their brother starting pulling into it because it became socially fashionable. But that was after JAWS changed it all, ya know, STAR WARS… before that for a few minutes, people were only interested in the artistry of it. This is when Spielberg and Scorsese and everybody broke in. And they were sort of the men ahead of the pack. I was in AFI I think the third year they had the AFI. Bouncing around and failing for about 10 to 15 years is another way of putting it. BUG: What was it that was that driving force that kept you going all through that time? TH: Man, that’s a good question. These are serious questions you’re asking, Mark. BUG: (Laughs) Okay, should I keep it lighter? TH: No, no, no, it’s alright I mean because what I saw was, out of my class at northwestern, I’m probably the only one left standing. But I’ll tell you by the time I was 30 I was near the only one left standing. Does that make sense? Nobody ever talks about this thing but the fallout ratio from the film school and the theater schools and all of it is just ferocious. Because everybody wants to be hopeful and positive, and so do I, God knows, but you know I don’t know how I survived. I think because I did everything. I crewed, I gripped, I worked behind the cameras, in front of the cameras, anywhere I could to make enough to keep going. And so by doing that I ended up learning damn well how to do everything damn nearly. In other words, I think what I’m saying is, it’s probably the same as now, I guess I’d been introduced to it when I was in high school and left college pretty quick but I worked so much in and around the business, doing everything I could for a buck that I ended up doing everything. BUG: I was looking through your filmography and there are so many cool films you were involved in. Things like THE BEAST WITHIN, PSYCHO 2, and things like that, before you started directing. BUG: Yeah, how did you get involved in writing those films? TH: Well I wrote, I think in 77 or 78, something called THE INITIATION OF SARAH [reviewed here], which was a big TV movie back then. They’ve redone it, subsequently. And I don’t know, I just, whatever I wrote or whatever my concerns were, I was writing a piece for the set effect. And that was THE INITIATION OF SARAH. That was THE BEAST WITHIN, too. BUG: And there were some great effects in THE BEAST WITHIN [reviewed here] just with those transformations. TH: Well for their time, yes they were. Keep marching on, as they say. Phillipe Mora, who directed the film, is a very good friend but you know, the effects, my entire life effects have improved, that’s one of the positive things. I’m talking about in camera effects. As well as boom and CG. But anyways, I guess before anybody else was into effect, I was into transformation, pretty serious. I mean I think of it so much as a metaphor for what’s been going on inside. BUG: Definitely. 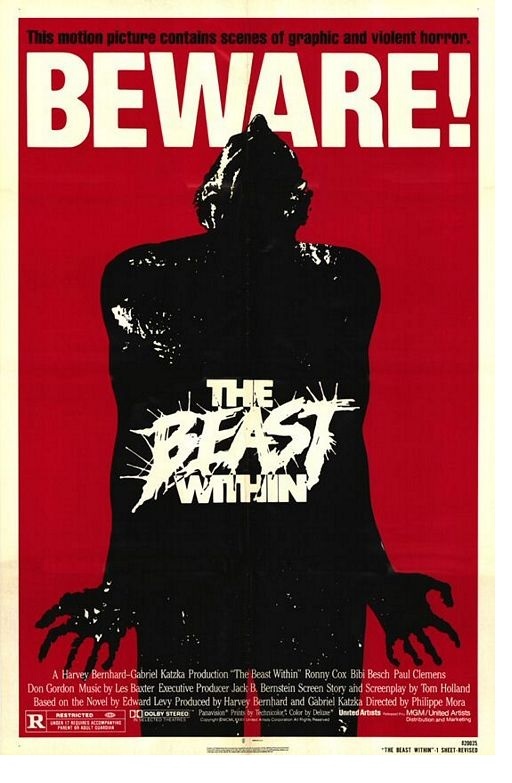 I remember seeing THE BEAST WITHIN as a kid before I really should have seen it and then watching it again just a couple years ago and seeing it and there is some really, really deep themes going on in there about childbirth. TH: It’s the story of a boy reaching adolescence and crossing over into manhood. TH: Hmmm. I had never thought of that. But I guess you’re right. BUG: Yeah, for some reason, that’s what I took away from the film. TH: I also guest starred as an actor on an episode of THE INCREDIBLE HULK. I was friends with Bill Bixby and you know, I was always working with monsters and transformations. BUG: Very nice. Well then how did you make the leap to director? 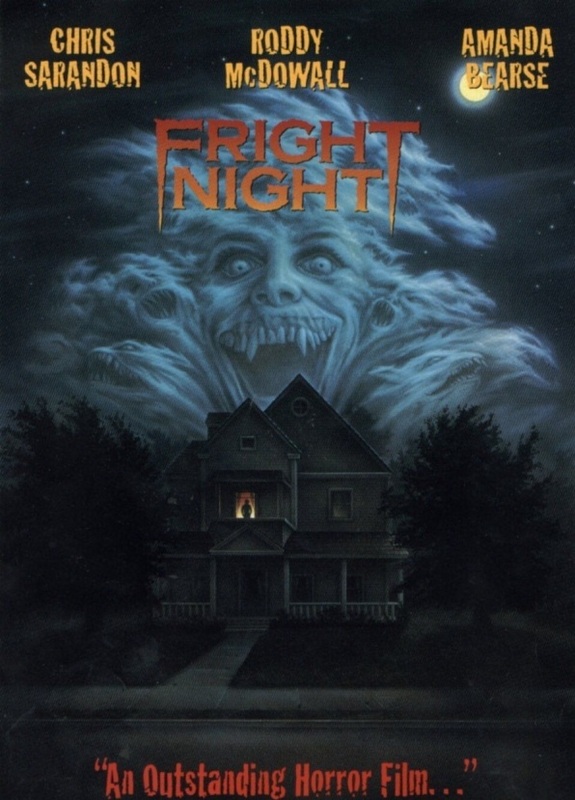 Was FRIGHT NIGHT the first film you ever directed? TH: Yeah but THE BEAST WITHIN was not a success when it was released and I also did CLASS OF 84 and that was a success but it was an independent, you know? 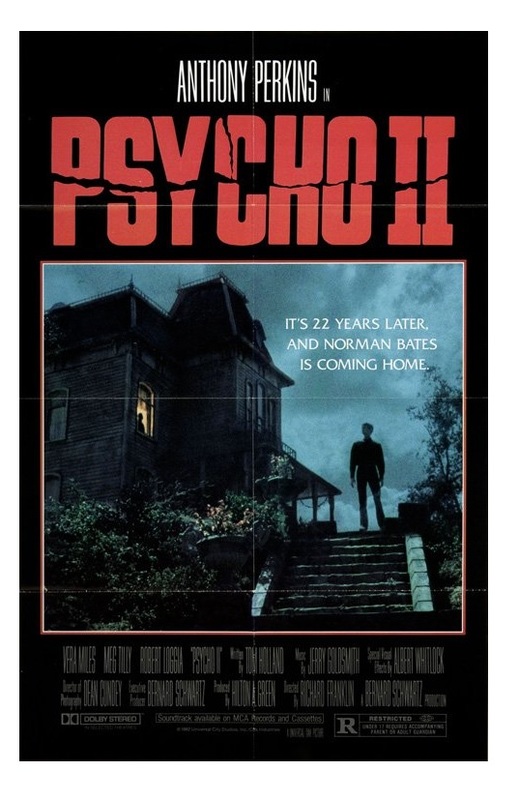 And then I got this wonderful opportunity, PSYCHO 2, and PSYCHO 2 was the number one summer movie of 1983 and that really kicked the doors open for me. BUG: -And was that a lot of pressure for you? To do the sequel to one of the most influential horror movies of all time? TH: It was terrifying. But it was for me, also, the transformative movie. That’s where all your modern day horror, that’s where it all comes from. The pressure was enormous. That’s probably why I worked harder on the script than any other script I’ve worked on in my entire life. BUG: And after seeing it all finished and completed, were you happy with the film afterwards? TH: Very. I mean Tony Perkins playing Norman for the first time in 22 years and I wrote it? Oh my goodness it was a dream come true. BUG: And then just a couple years later you took on FRIGHT NIGHT [ reviewed here]. How did that all come about? TH: Well that was an original script. Because I was so hot as a writer. It also inspired a movie called SCREAM FOR HELP that did not come out very well, it was unreleasable. And then I started directing in a way of self-defense. But I wanted to do it anyways. It was definitely to protect the material initially, but FRIGHT NIGHT was an original script and I was a hot enough to get that opportunity. That’s very, very rare but that’s, you know, one of the few ways you can do it, in terms of Hollywood and the studio system. Now it’s changed radically, because you have digital and because independence has become so inexpensive I mean it there is a lot more opportunity around for people to learn and display their works. 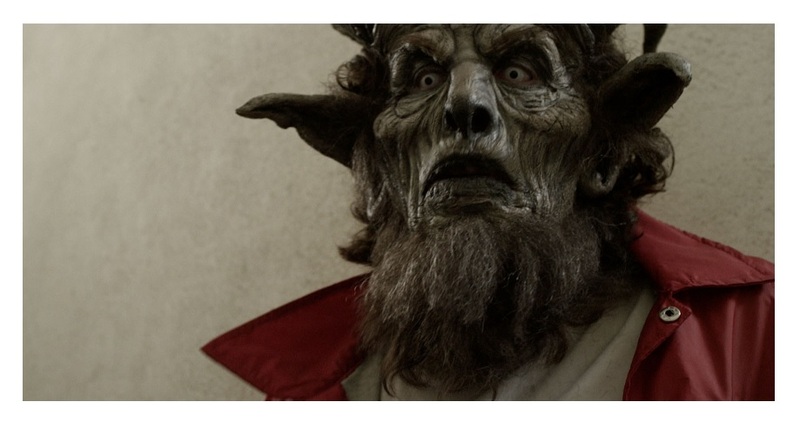 BUG: And again, this is going back to THE BEAST WITHIN, FRIGHT NIGHT is about a boy going through adolescence. Why do you find yourself going back to that kind of theme in your stories that you write? TH: You know you’re always looking for a character arc, for the character to change, to go through an emotional trip as well as, you know, and in horror as vital as it is powerful a metaphor. I don’t start out looking for the theme but by the end of it, I can look at it and see some kind of theme or some kind of arc or transformation going on. As an audience member you want to be emotionally involved with your lead characters or even your villain. They have to have an emotional life, you know? TH: Well of course I was. I grew up on them. For me, I grew up on the AIT and the Hammer horror films. That’s what I was referencing. I think FRIGHT NIGHT’s resonated as long as it has because it’s a fan’s love letter to the genre. Really it is. BUG: Okay, well very cool. 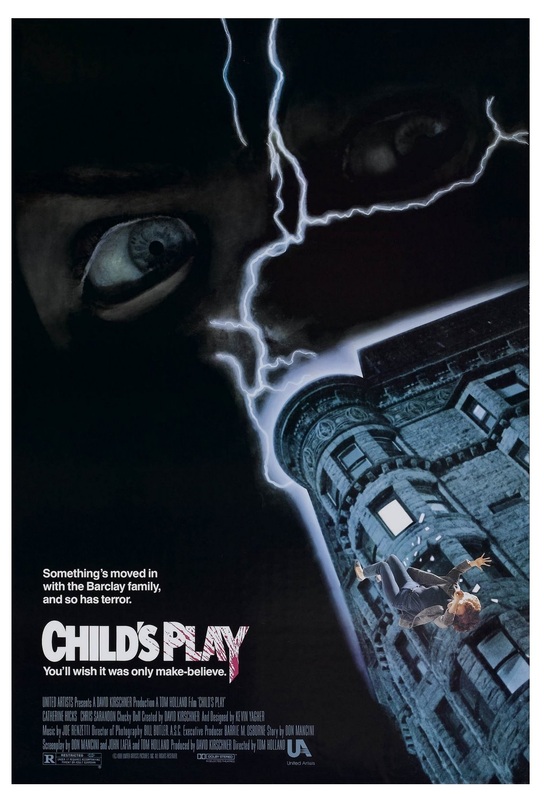 Moving down the line a little, here comes CHILD’S PLAY, which is another classic, and you wrote and directed that as well, is that correct? TH: Yes that is correct. That’s an original screenplay, even though there was an original before it, that story is, I’m the one who created Charles Lee Ray. BUG: Very cool. Well, what went into making a character like Charles Lee Ray/Chucky? TH: A lot of hard work (laughs) I mean once again you’re dealing with huge effects and you’re back now in what it seems was the dark ages. I mean that was puppeteers looking at TV screens and they built that stage and it’s standing four feet in the air and the puppeteers underneath operating the doll. I shot the doll in the apartment above because that way I could hide the cables by running them underneath the doll and the floorboards. And the other thing was, and I can’t remember why, but the TV cameras, they transposed the image, you were trying to keep an eye line or trying to make it work and it wasn’t left right, it was right left. It was just very difficult to the puppeteers. Now you’d have a remote control you know? BUG: And so what was it like working on the set with a child in CHILD’S PLAY, I mean I’m sure there were special rules you guys had to abide by to work with a kid in a horror film. What was that like? TH: Well, Alex Vincent was just wonderful and the reason I cast him is because he really was a real little kid. And so much in the pain with that was making the doll believable and making the doll work. Alex was having a huge amount of fun, so he was very alive and willing to try anything. And I think when you see how it all works its not scary because ya know? Although he probably didn’t realize the images, you know? Him lying in bed with the doll. But he was terrific in order to make the doll work, I built four or five sets and had a little person, Ed Gale, during big chunks of it. I used Alex’s little four year old sister and put her in the Chucky costume to make her like, behind the babysitter. When Chucky runs by, that’s Alex Vincent’s four year old sister in funky pajamas. Every trick in the world to make that doll work was used in the film. BUG: And Chris Sarandon is in that film as well. From his work in FRIGHT NIGHT did you guys have a relationship to try to keep that kind of collaboration together? TH: Yeah and he was also in the movie with me called THE STRANGER with Ricky Schroder that got Ricky a Golden Globe nomination. Yeah Chris and I are friends and have been working together for years, he’s a brilliant actor. But also Brad Dourif, because nobody ever mentions that I did a film with Brad called FATAL BEAUTY with Whoopi Goldberg prior to CHILD’S PLAY and he was so good as the villain in FATAL BEAUTY, I brought him into CHILD’S PLAY. BUG: I just had one more question about Brad Dourif, because he seems like such an intense actor. What’s he like in real life? TH: Brad’s, both of those guys are brilliant actors. Chris and Brad, both of those guys. You know what I mean? Brad’s one of those guys who can just fall into the character. Brad can do multiple characters. You cannot recognize him depending on what the character demands. BUG: Yeah, I love him in every film that he’s in. So let’s skip ahead to the present day. So what do you have going on right now that you’re working on? TH: I’ve got TWISTED TALES, that’ll be out on cable and VOD, and then we’re doing a DVD release and I’m very excited about those. It’s an anthology series and I get to write, direct, and produce, so you know. I mean, some of its very interesting, just creatively interesting. BUG: So is it a series or is it a film of short stories or? BUG: If you likened it to any of the old horror series out there, is it more TWILIGHT ZONE or TALES FROM THE CRYPT? TH: Well I did three of the TALES FROM THE CRYPT episodes, so I mean it’s more TALES FROM THE CRYPT and a little bit of TWILIGHT ZONE in it because I always think scifi when I think TWILIGHT ZONE. It’s all of those but it’s got a meaner edge, it’s got a modern edge. BUG: Nice. Who do you have lined up to be in those episodes? TH: Oh god, I’ve everybody in there. I’ve got Danielle Harris, Noah Hathaway, Ray Wise. All my friends came out to play. BUG: That’s great! TH: You’ve got some great work from some younger horror icons and emerging actors, like AJ Bowen, you know. There’s just some wonderful acting work in it. BUG: Can you tell me about the one you’re leading off with or what’s the first story? TH: The one I’m leading off with is one called “Boom” and that’s Noah Hathaway, and Sarah Butler, the girl in I SPIT ON YOUR GRAVE. And she’s done several others since. I think I’m leading off with that one. It’s actually a psychological piece. They’re all different but they all have a bite. BUG: Do you like doing an anthology? TH: It gave me a chance to write a lot of different stories so yeah I mean I like that a lot. Because it’s TWILIGHT ZONE mixed with TALES FROM THE CRYPT. I’m also prepping to go and do a Stephen King piece, a movie called the 10 O’CLOCK PEOPLE which is from one of his short stories. BUG: Oh cool. And so what can you tell me about that? TH: Not much because we’re casting right now and everything else is sliding into pre-production. BUG: So is that set for release maybe next year? TH: I would say I think so I mean I’m going to start shooting here soon. I think you’re gonna find that 10 O’CLOCK PEOPLE is going to draw a lot of attention. So when the time is right, I’d be happy to talk to you about that. BUG: Well let’s do another interview then when that comes around. TH: We’ve cast Sharon Nickels as the girl, but we’re still dealing with the male lead. So I just don’t want to get too deep into it. Because who knows what’s going to happen with the negotiation. It’s one of the short stories from NIGHTMARES AND DREAMSCAPES. A lot of people know that short story. BUG: Well I can’t wait to check that out and this isn’t the first time that you’ve worked with Stephen King, you did THINNER and THE LANGOLIERS, how have you worked with him in the past? Is he involved in this film at all? TH: Well he suggested me and he liked the script a lot, so I’m very thankful that I have his support because that makes a big difference. You know, Stephen is the Charles Dickens of our generation, I guess. He’s extraordinarily prolific with a very high standard. Really an amazing accomplishment. BUG: Well thank you so much for talking with me tonight. TH: Thank you very much, Mark. You have a good day too. 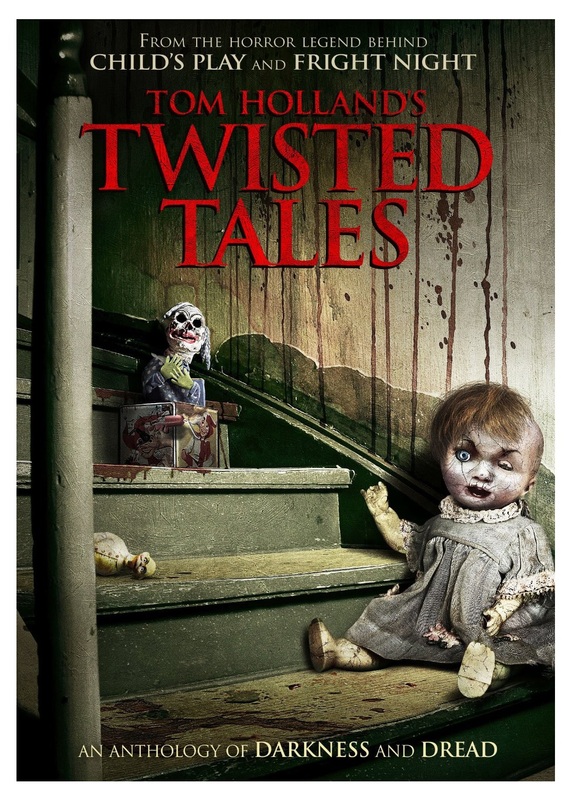 BUG: Look for Tom Holland’s TWISTED TALES new this week on DVD!